The physician ordered an ultrasound test to find the reason for the pain. Find Battambang, Cambodia, on the map. In Cambodia, surnames are written first. Pronounce O Mony as: oh moan-EE. To Sabbath School teachers: This story is for Sabbath, Nov. 3. The next day, the stomachache grew worse. It hurt so much that the 16-year-old girl wept in her home in the Cambodian village of O Mony. 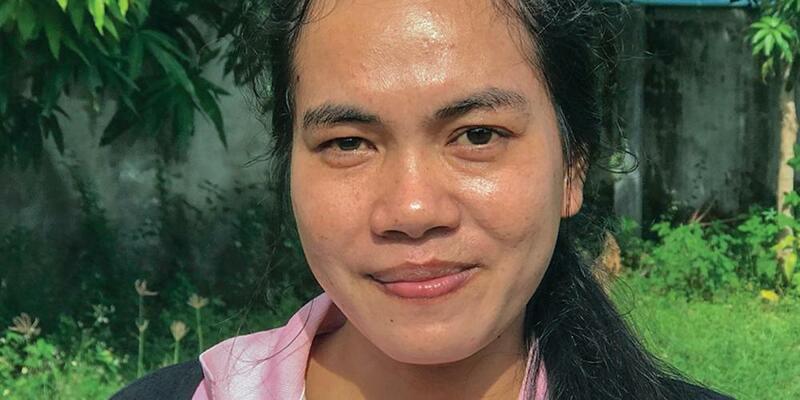 Father put Marina on his motorcycle and drove her and Mother to the hospital in Battambang, Cambodia’s second-largest city, located 4 miles (7 kilometers) away. The physician ordered an ultrasound test to find the reason for the pain. The initial results worried him, and he ordered a second test. With those results in hand, he grimly approached Father. The physician filled out some paperwork and instructed Marina’s parents to bring the documents and U.S.$300 for the operation in three days. At home, Father gathered the family—Mother, Marina, and three other teenage children—for a special season of prayer. The family prayed again on the second day. On the third day, the family met one last time before heading for the hospital. As Father finished praying, his cellphone rang. It was the physician. Father explained that the rain made it impossible to drive his motorcycle to the hospital. The family didn’t own a car. “As soon as the rain stops, come immediately,” the physician said. The family knelt to pray again. Twenty minutes later, the rain stopped. As Marina climbed onto the motorcycle, she noticed that she felt better and suggested canceling the trip. Father insisted on going to the hospital. Mother called home with the good news. “This is the power of God!” she said. The three siblings, who had been praying and crying, grabbed each other by the hands and jumped up and down. “We thanked God for healing our sister,” said Marina’s older sister, Sokhom, who was 17 at the time. The miracle prompted big changes at home, said Sokhom, who related the story. She and her three siblings, who earlier had shown little interest in giving their hearts to Jesus, began to study the Bible and were baptized. All four children are now faithful Adventists. Marina is a healthy, 27-year-old mother. Sokhom, 28, is a Bible worker and first-year university student. She is studying nutrition and will work at a planned Seventh-day Adventist vegetarian restaurant in Battambang. Part of this quarter’s Thirteenth Sabbath Offering will help construct the two-story community center where the restaurant will be located. Thank you for your mission offering.